If you are a U.S. 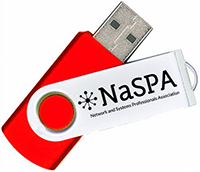 Veteran or active duty we offer 1/2 off any NaSPA membership. * That means you can become a $24.00 Basic Member for only $12.00, $96.00 Full Voting Member for $48.00, and $995 Lifetime Membership for $497.50. It's something to think about if you are separating from the service soon - and by the way - THANKS for serving! Basic Membership: $12.00 / Yr.
To learn more about Full Membership, click here. Full Membership: $48.00 / Yr.
To learn more about Lifetime Membership, click here. * We reserve the right to request proof of military service.